passionate first love. Fifteen-year-old Wren attends a life-changing party at the Metropolitan Museum of Art (her father is its director), where she connects with her older brother’s new friend, the charismatic, talented musician Nolan. Though they’ve just met, the two feel a magical connection and slip away to another dance party with Nolan’s friends, ruining Wren’s borrowed designer gown and upsetting Wren’s parents, who promptly ground her. Smitten Wren persists in seeing Nolan, despite her parents’ wishes. 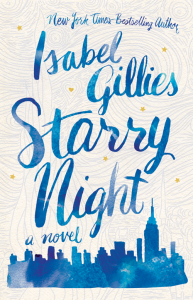 Gillies captures the impulsive nature of teen love and its consequences along with nicely detailed secondary characters (little sister Dinah’s a cutie with her own cooking show; Wren’s parents draw sympathy with their real-time reactions to Wren’s relationship). Authentically depicted mother-daughter clashes allow readers to empathize with besotted Wren and outraged Nan—especially when Wren abruptly abandons long-cherished dreams of attending an art program in France to be near Nolan. Occasionally, amateurish moments disrupt (some dialogue sounds stilted; some transitions are announced at chapter beginnings). Still, readers willing to overlook such moments will find themselves engaged by Wren and her headlong dash into love; the lack of tidy happy endings underscores the grittily real feeling of the story’s emotional affairs. An imperfect but authentic look at teen love and betrayal that will entertain and touch readers. When our story opens, it’s a dark and slushy winter in New York City, where Isabel is arriving by airplane from Ohio, two toddlers in tow, to move in with her parents. Her husband has left her for another woman. 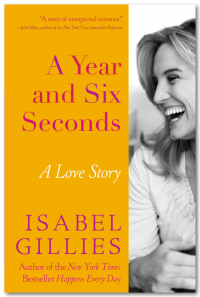 Isabel Gillies, the New York Times bestselling author of Happens Every Day, has written another irresistibly moving and funny memoir: A Year and Six Seconds: A Love Story. In scene after hilarious scene, Isabel shares her valiant, misguided, and bumbling attempts to understand her own part in the disintegration of her marriage and to feel strong and loveable. And, one by one, she begins to cross items off a staggering single mom to-do list that includes: change last name, get bank account, get work, have breakdowns only in front of best friend and not in front of children, find rare preschool slot for son midyear in Manhattan, get along with three generations of family in tight quarters, find a man who can plant one great and romantic kiss, accept self, accept love, be happy. She cries, she dates, she (and her mother and father and children) get the flu, and then, just when she least expects it, Isabel falls in love. With humility and a refreshing sense of humor, Isabel stumbles many times but also laughs, forgives, discovers new treasures from old friends, marries again, and more than that, finds good love itself within and around her. Isabel Gillies had a wonderful life: a handsome, intelligent, loving husband; two glorious toddlers; a beautiful house; the time and place to express all her ebullience and affection and optimism. Suddenly, that life was over. When Josiah took a teaching job at a Midwestern college, Isabel and their sons moved with him from New York City to Ohio, where Isabel taught acting, threw herself into the college community, and delighted in the less-scheduled lives of toddlers raised away from the city. But within a few months, the marriage was over. The life Isabel had made crumbled. “Happens every day,” said a friend. Far from a self-pitying diatribe, Happens Every Day reads like an intimate conversation between friends. 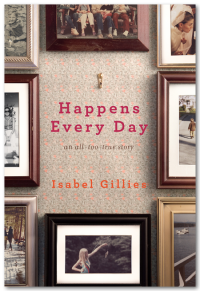 Gillies has written a dizzyingly candid, compulsively readable, ultimately redemptive story about love, marriage, family, heartbreak, and the unexpected turns of a life. On the one hand, reading this book is like watching a train wreck. 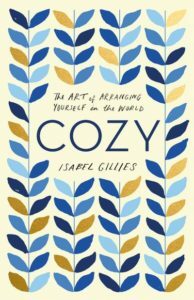 On the other hand, as Gillies herself says, it is about “trying to light a candle instead of cursing the darkness, and loving your life even if it has slipped away.” Hers is a remarkable new voice — instinctive, funny, and irresistible.